By using Meet the Teacher parents can choose their own appointment times from any internet connected device. Parents no longer need to rely on their child to make appointments, phone the school or wait to see the teacher. Bring your school into the 21st century and revolutionise your next parent teacher conference. 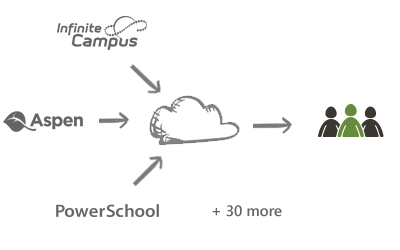 Setting up the system is effortless with teachers, students, contacts and sections automatically synced from your student information system (including PowerSchool, Infinite Campus, Aeries, RenWeb, Rediker & more) and Clever. It's completely free for your first conference. Apply for a trial today and you'll be ready to accept bookings in no time. Admin staff no longer have to organize and print appointment sheets, process reply slips or chase up students. 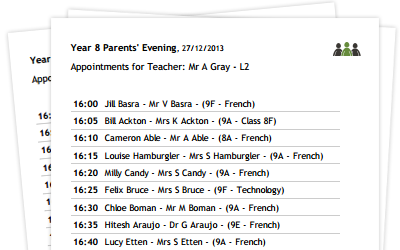 Instead Meet the Teacher will automatically send a confirmation email to parents with a list of their appointments. You'll enjoy increased parental engagement with more appointments than before, higher attendance and parent teacher conferences that run more to time. By using the extensive reports, you'll be able to get an insight into your parent teacher conferences unlike ever before. You can pinpoint students without appointments, see which teachers are fully booked, check what times are busiest and see which parents didn't turn up. Run parent teacher interviews for specific grades, have different interview lengths for teachers and brand the system with your school logo and colors. Meet the Teacher dramatically increases parent attendance at conferences since it is so easy to book a suitable appointment time. By recording parent attendance, teachers and school leaders can follow up afterwards. We're proud of our award-winning customer service which is included free of charge to make sure your parent teacher conferences are a success. Meet the Teacher has allowed school administration to design and customize with greater precision Parents Teachers conferences. Booking conferences is also now more intuitive for parents. Booking is now too simple so slots are filling too fast! Meet the Teacher was extremely easy to use. Importing data to the conference website was easy. But it's not just about us: some parents who have been with us for many years told us it was the easiest ever experience in scheduling their conferences. Meet the Teacher is the US brand of the Parents Evening System. 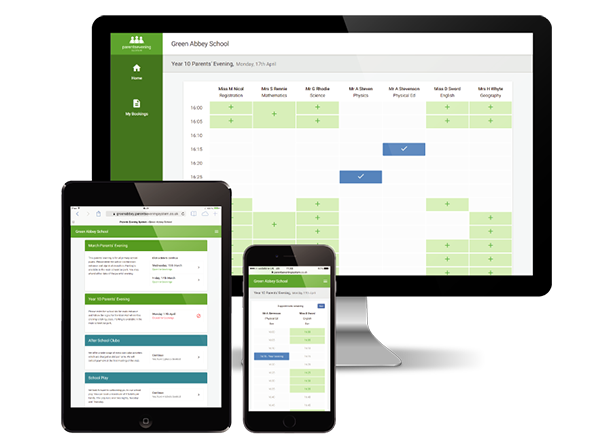 Switch to the Parents Evening System site to see how the system syncs directly with SIMS, Facility, iSAMS, Integris and other popular school management systems. The remote demo of the Meet the Teacher lasts about 20 minutes. There is nothing to download, all you need is internet access and a phone.